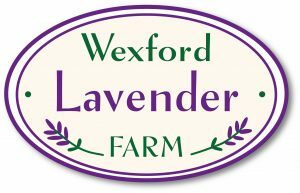 Distillery Tours – Our Distillery tours are exclusive to Wexford Lavender in Ireland and show our working Still, which extracts the 100% natural oil from the lavender buds by way of steam distillation. This process uses fresh lavender flowers and Tours operate during July and August when the lavender is in full bloom. Tours take approximately 45 minutes and pre-booking is essential, cost €6 per person. Please contact us if you have a group of 10+ to arrange a time/date to suit. Please note all tours are weather permitting. If you are not part of a tour but would like to attend a Distillery Tour please contact us to arrange a day joining other individuals, please note these tours are usually held on a Saturday morning (11.00am) during July and August. To book a tour please click an available date on our calendar.